At the wake of the 2013 Bohol Earthquake (October 15, 2013), it was morning of Tuesday and I was at home, about to leave for work. I heard over the TV, that an earthquake occurred in the Visayan islands. That time, I thought it was just a usual negligible shaking of the ground, so I left and didn't mind. Then a day after the quake, videos and pictures of the horrifying event circulated the social media. Centuries old churches in Bohol were leveled to the ground, several structures were greatly damaged, and lives were lost. Even the famous Chocolate Hills were not spared. Only then we realized how serious it was. I was struck by the "nakapanlulumo" scenes and wanted to help. I wanted to do something for these poor fellows, but clueless how to. Until a friend invited me to join their fund raising effort. Thanks to Ian of www.limbonis.com, the "Stroll for Bohol" effort was born. Basically, the goal of the effort was to raise funds for the disaster's victims; we arrange a tour/hike then require our participants to donate a sum of money, simple as that. I will be able to help my downed countrymen, and at the same time, enjoy nature's beauty; win win situation, isn't it? 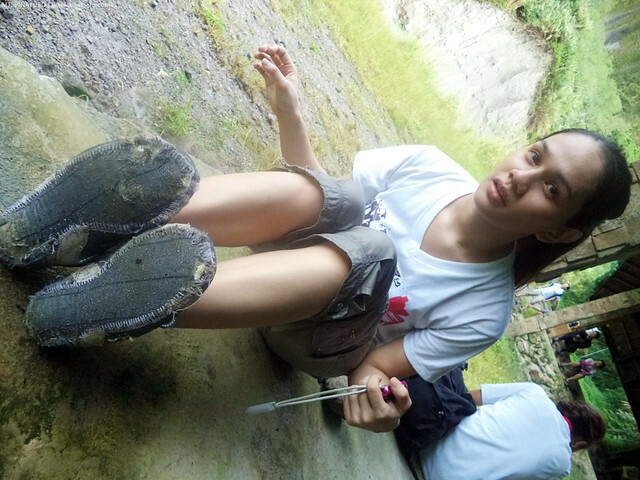 I took part of the "Stroll for Bohol" effort by leading a group to Mt. 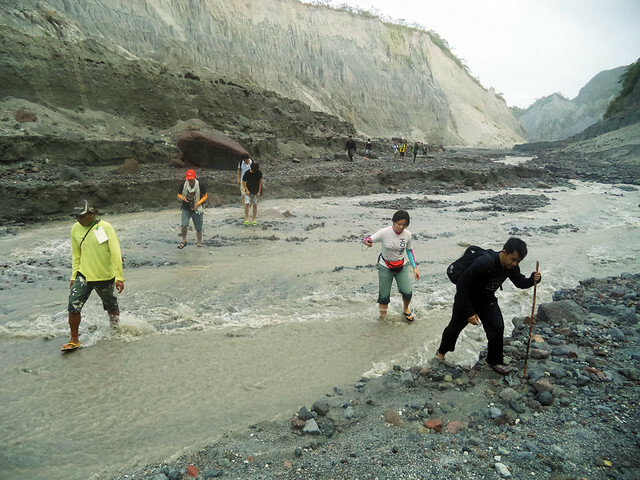 Pinatubo via Capas trail two weeks after Visayas, particularly the province of Bohol, was rattled. Despite the gloomy weather we've been experiencing the past days, our group of 15 from Manila drove to Brgy. Sta. Juliana in Capas, Tarlac for a would-be meaningful adventure. We were excited to see the majestic crater of Pinatubo, as much as we were eager to contribute to the relief efforts for the earthquake victims. Look at the irony, the volcano that once destroyed lives, can now help save lives through tourism for a cause. Arranging for a hike to the crater of Mt. 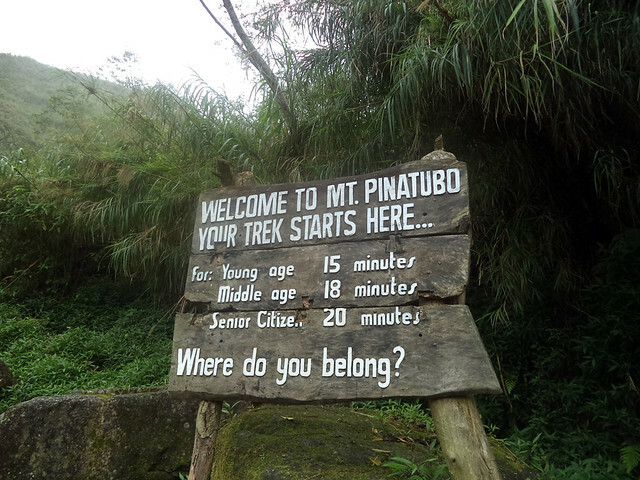 Pinatubo via Capas Trail isn't really an arduous task. All I had to do was to coordinate with Sir Wendell of Brgy. Sta. Juliana Tourism (09196084313) for the necessary reservations (4x4 ride and tourist guide). Would be best to book at least a week ahead of your scheduled trip. We arrived at the jump-off at around 6 in the morning, it was drizzly. 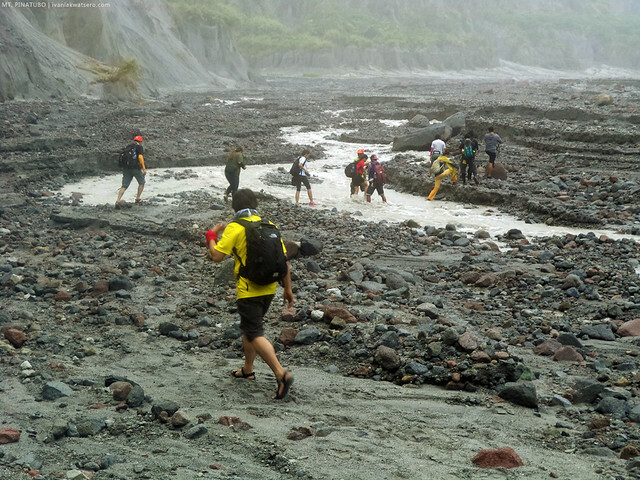 Actually, knowing that the 2-hour trek to Pinatubo crater is through an open lahar field, meaning we will be at the sun's mercy, having a gloomy weather was not really a bad thing. 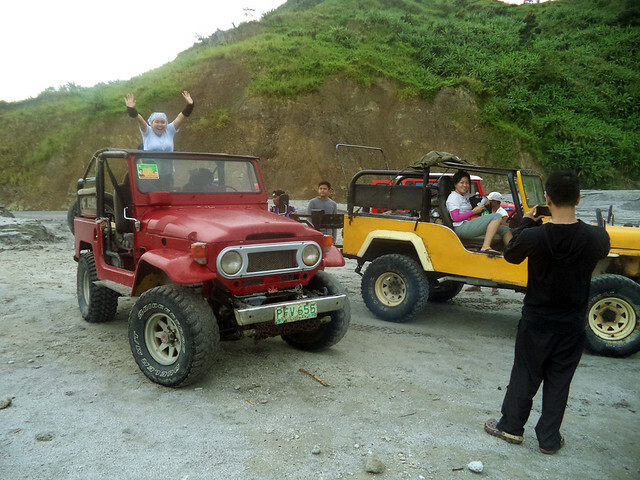 The fun begins with the 4x4 ride as it meanders through the vast desert-like landscape created by the lahar that followed the 1991 eruption of Pinatubo. 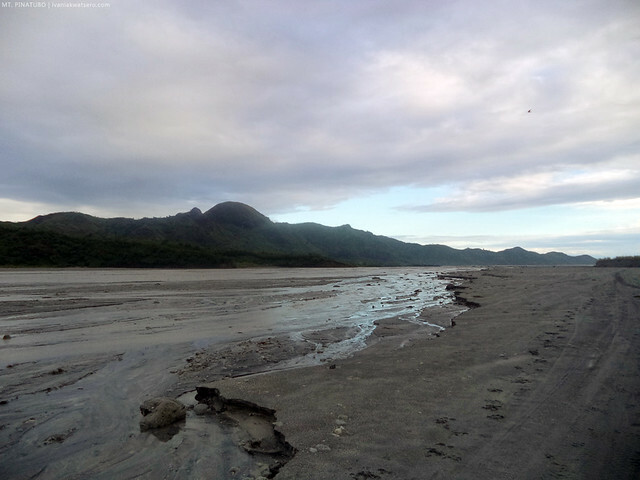 There is no other place in the Philippines exhibits a lahar field as vast as what the Pinatubo has created. In fact, the provinces surrounding the volcano created fortune from the seemingly inexhaustible lahar fields by harvesting its sand to be used in construction. For me, the 4x4 ride alone is a great tourist tourist trap. Scenic sand formations and streams, and the rough ride really makes the experience so much fun. It is just sad to know that the place was once a rich arable valley. We were lucky to have talkative guide with us. He shared to us his memories of the grim catastrophe. It was raining ash, and for days, they never saw sunlight. "It was like a scene from the Bible, when God brought darkness over Egypt," he recounts. 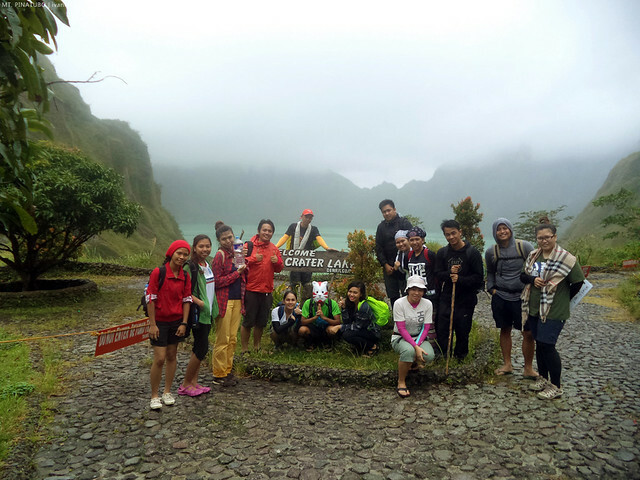 After roughly an hour, the fun ride ended as we finally reached Lipit Station, the place where the 7km trek to the crater is set to start. 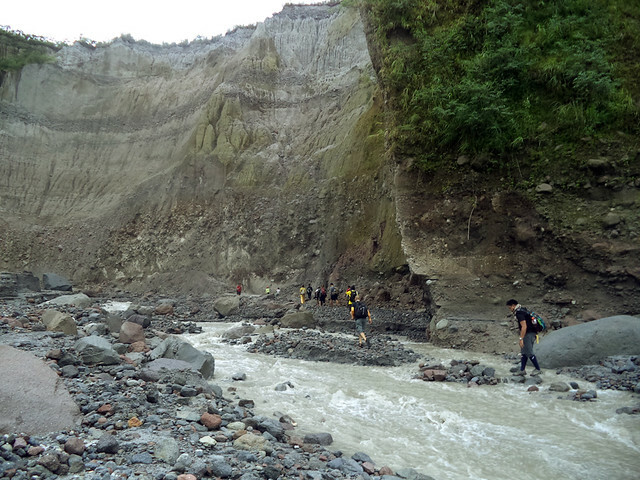 For at least an hour and a half, we trekked across a valley of lahar. As expected, the terrain was pretty much composed of course sand and rocks of varying sizes (take note, most of these, if not all, were spewed by Mt. 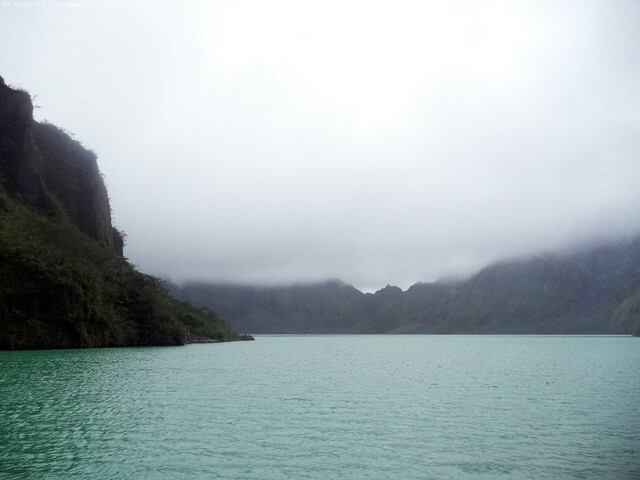 Pinatubo). It also involved numerous river/stream crossings, which, if raining heavily, could be raging and impassable. As I mentioned earlier, the gloomy sky isn't really a bad thing most specially during the 7km trek to the crater. Yes it is! Because if it was not, all of us might find a hard time dealing with the scorching heat of sun. I know how it feels to trek directly under the sun and it's really not pleasant. Always remember to wear a sturdy pair of trekking shoes whenever/wherever you're hiking, or else you might just end up losing your shoe's soles. Sorry my friend, just visit Zalora when you get back in the city, they have great selection of affordable shoes there for you. There is a resting station complete with a shed and rest room right before the final assault (or is it even an assault?) to the crater view deck. You would notice too a signboard, which I think was quite judging. Hehe. Just look at the photo below and see what I mean. so if you walked slowly, up to 20 mins, you're a senior citizen. We arrived at the view deck after about 15 mins, (we are so young as per the signboard). It was however, very hazy. The clouds were laying low, covering much of the scenic crater lake view. Nevertheless, its grandeur beauty is still very apparent. 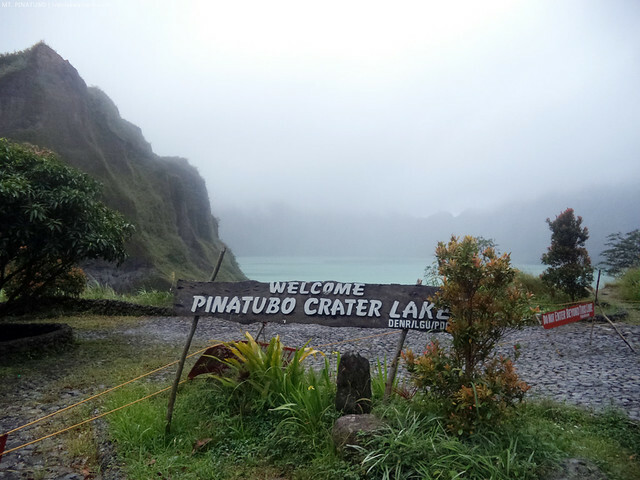 With that turquoise lake sitting calmly at the volcano's caldera, who would think that Pintabo had caused great devastation in its last eruption. In fact, the Pinatubo eruption of 1991 is one of the biggest of the 20th Century. 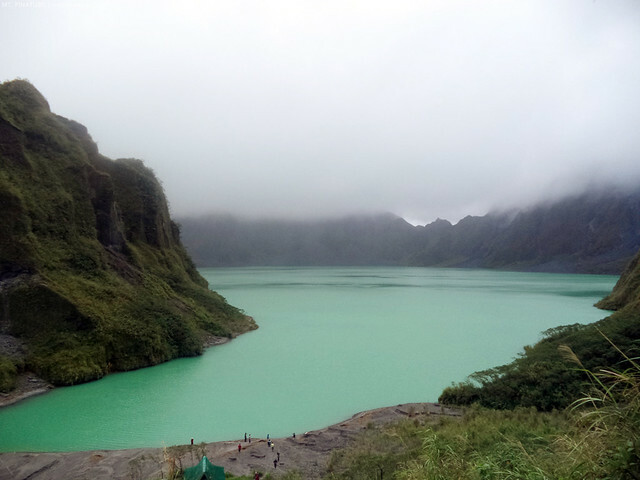 still the beautiful Pinatubo I fell in love with over a year ago. To complete our volcano experience, we went down the lakeside to get a closer look. I was hoping to ride a boat to the other side of the lake, which we did during our trip last year [see this link], to see the active boiling part of the lake, but unfortunately it's no longer being offered to tourists for safety reasons. no more bangka to the other side of the lake. photo ops na lang sa lakeside. We prayed for the sky to clear up so we can get a better view of the scenic lake, but contrary, at around 12 noon, rain poured down and more clouds covered the lake. hopeless! We stayed under the sheds found at the view deck for like 30 mins until we decided to return to Sta. Juliana. An obligatory group shot before we head back to Tourism Center in Brgy, Sta. Juliana. It's a success, my first ever event for cause. I was given an opportunity to help my country men so I grabbed it, the reward - priceless happiness. Thank you to all who participated in this hike, and for your donations. Cheers! so alin ka dun, 15, 18 or 20 minutes? heheheh nice photos!